Images from google images because I chucked this in the bin before I had the chance to photograph. Aaaah. I've been so shocking lately and not blogged for over a week! I've got a list full of things I need to blog about that it's shocked me into not doing anything about it. Ever get that? Where you don't no where to start so you don't start haha. Anyway June has been a month of favourites more than disappointments which is always a good sign. BUT. This disappointments post is a very strong one. 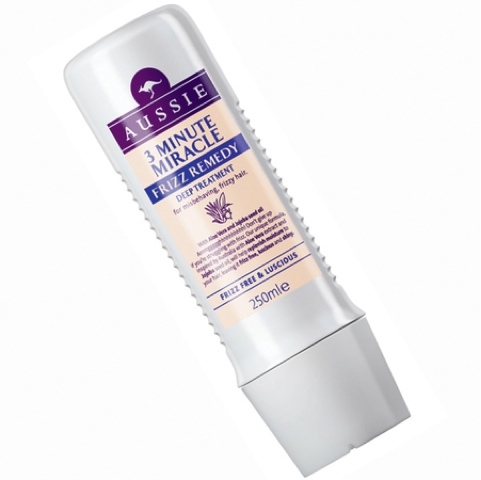 Shopping for holiday products to take away and I bought this frizz remedy conditioner as I'm in love and always will be in love with Aussie products and thought there wouldn't be one that I didn't like so I do tend to mix and match with their shampoos and conditioners. The 3 minute conditioner is much better than their normal conditioner as it's thicker and tends to work better as my hair is thick and bleached so needs a lot of help. And when holiday shopping I always take into account that the sun and salt water is going to effect my hair so I need to protect it more. So I thought this frizz conditioner would be perfect because with the heat on an evening it tends to go on the frizzy side. I am that dissapotpinted in this that it's made me not buy Aussie again since. It felt like I hadn't even used a conditioner at all. Yano when you've just applied it and you can tell you've used it, that didn't happen. Which meant it was a nightmare to brush and just felt awful. It also ruined my hair. Ever since, it's been a frizzy mess. So much that I've had to buy lots of hair masks and oils to try and restore the condition or my hair back to how it was. It's coming back slowly. I don't no what it's got in to make my hair that bad but I do know I will never buy that again. Have you tried this and thought it was good? Is it just me?